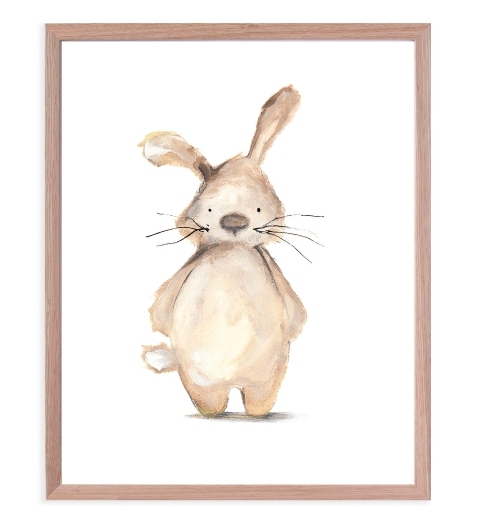 Our forest friends birth print in pink & taupe, brings a whimsical appeal to your little girl's nursery. 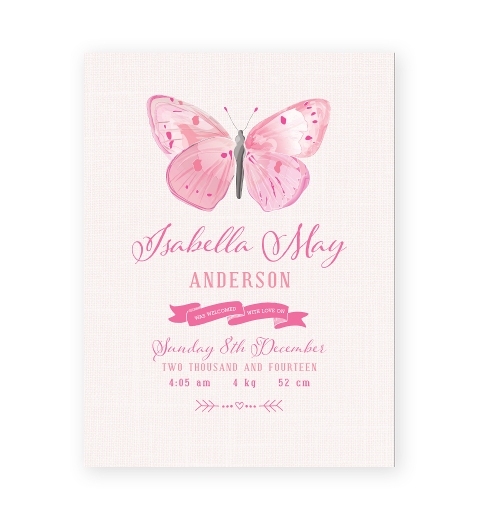 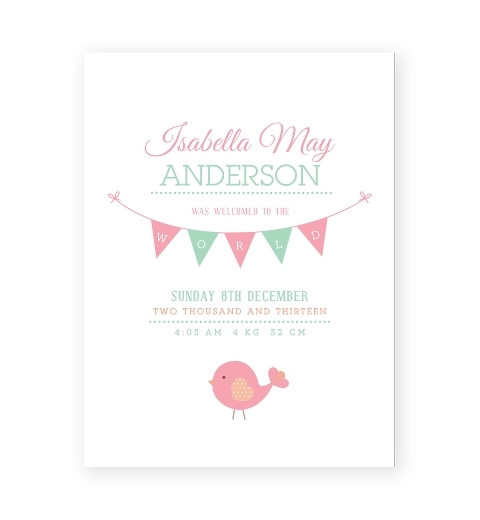 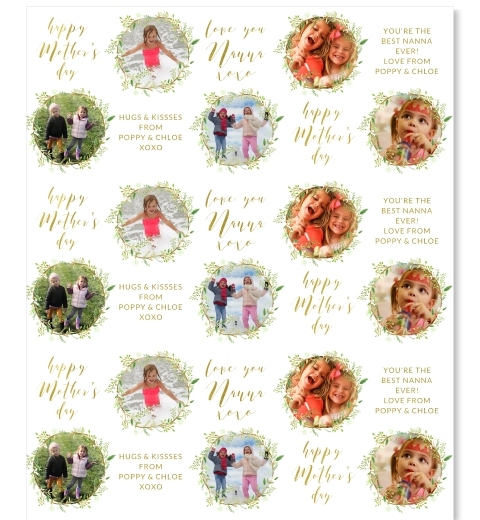 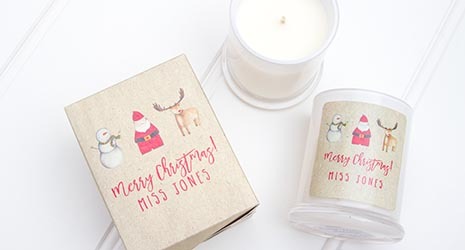 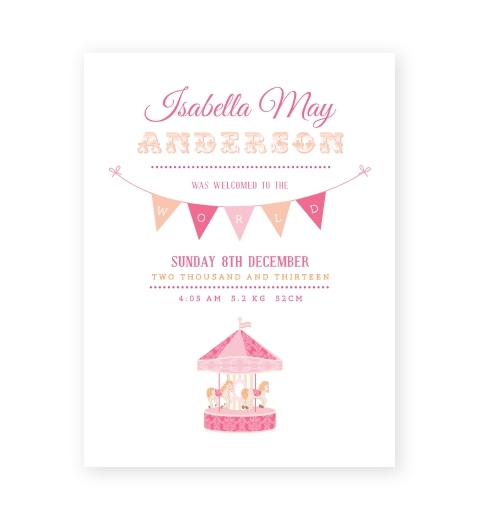 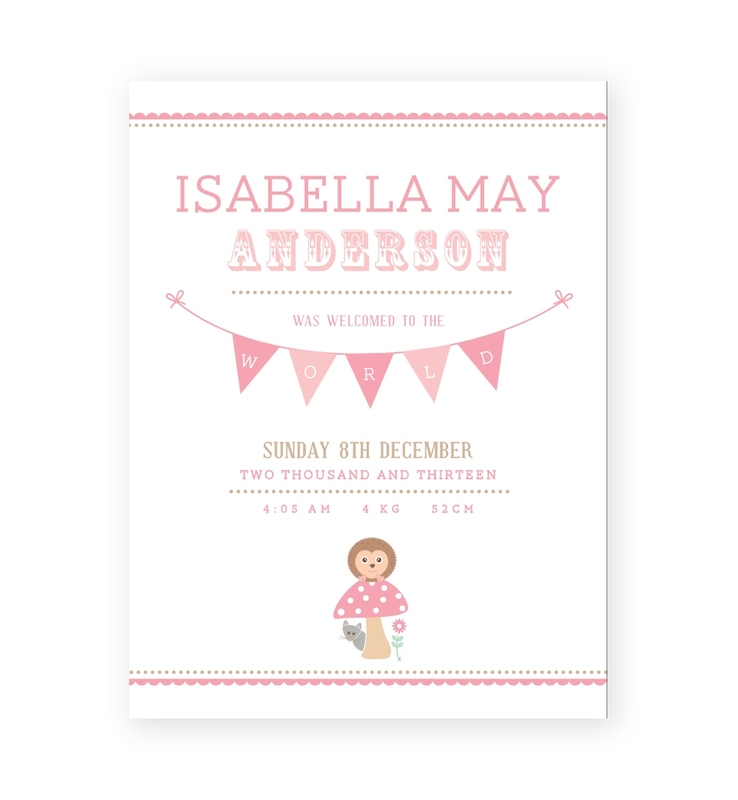 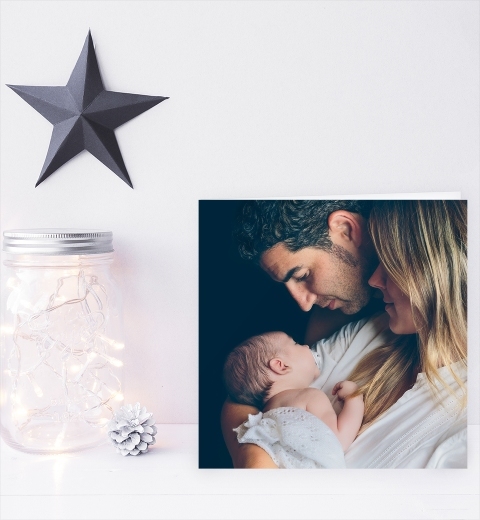 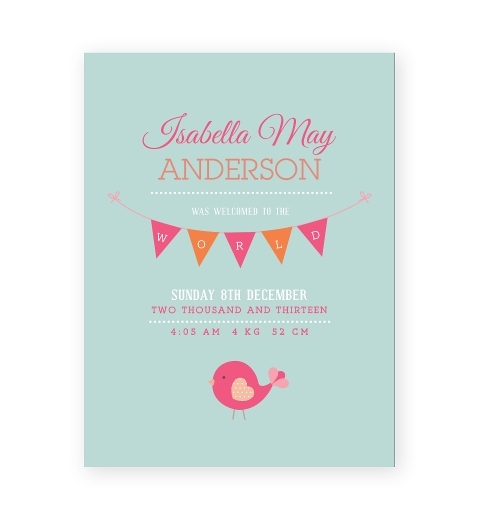 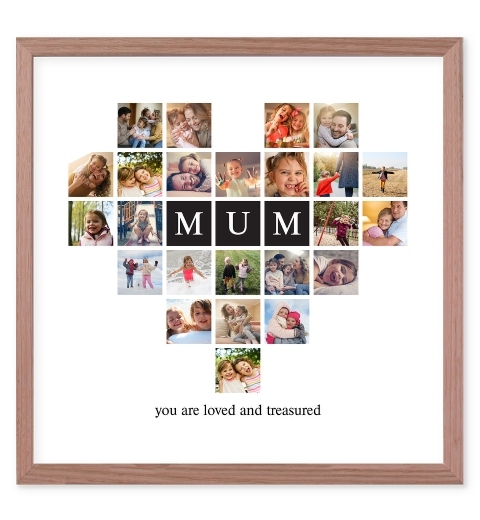 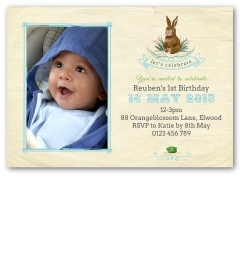 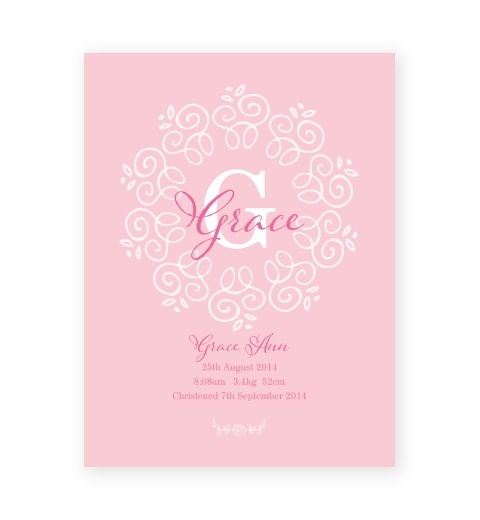 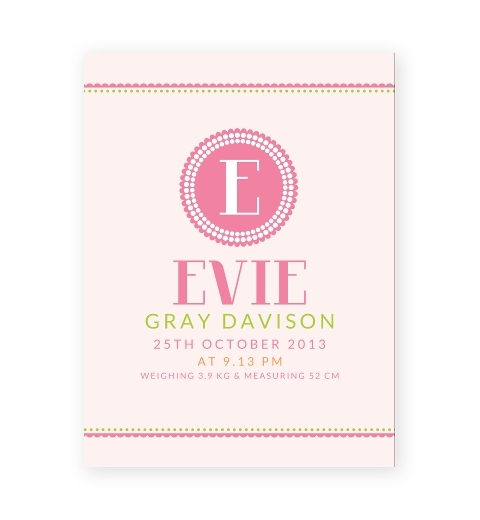 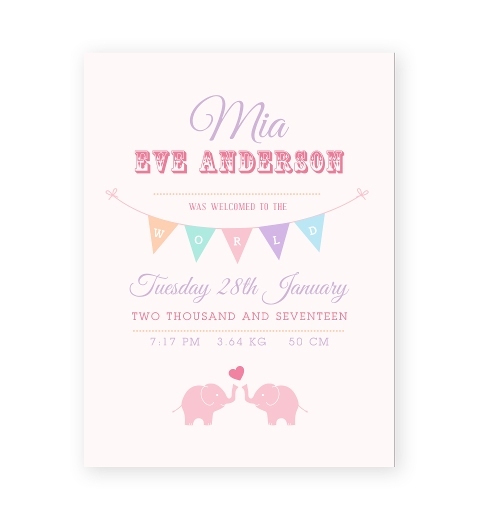 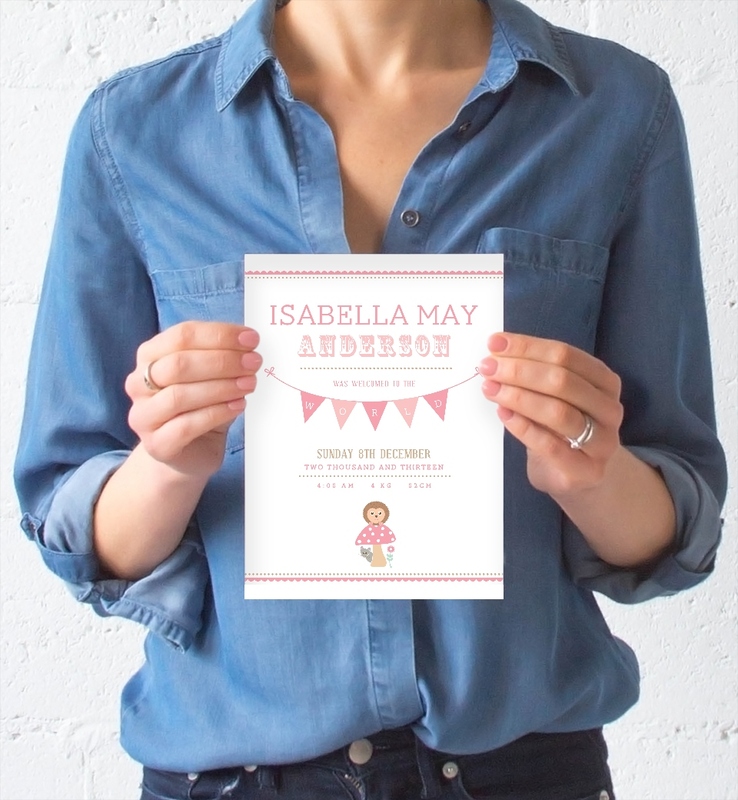 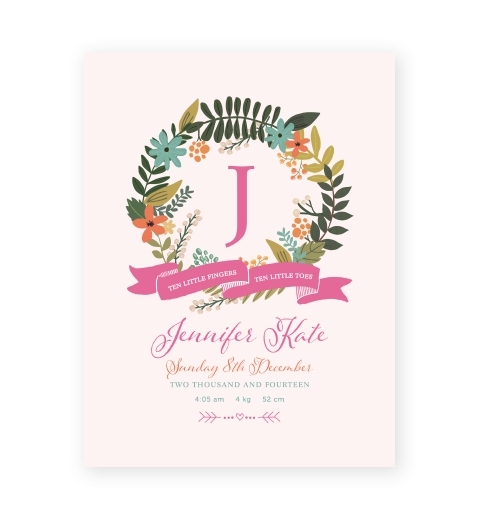 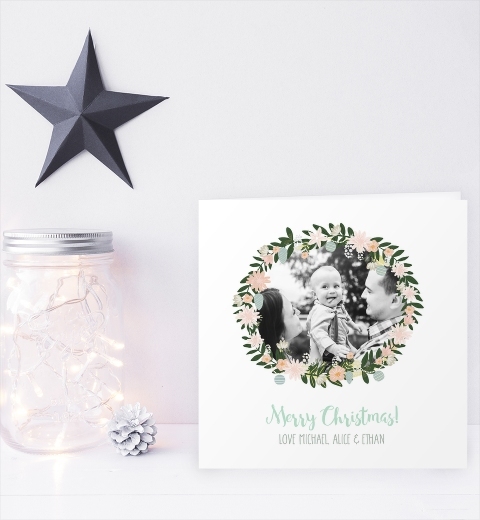 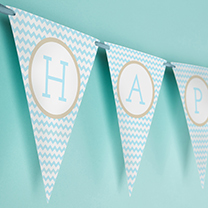 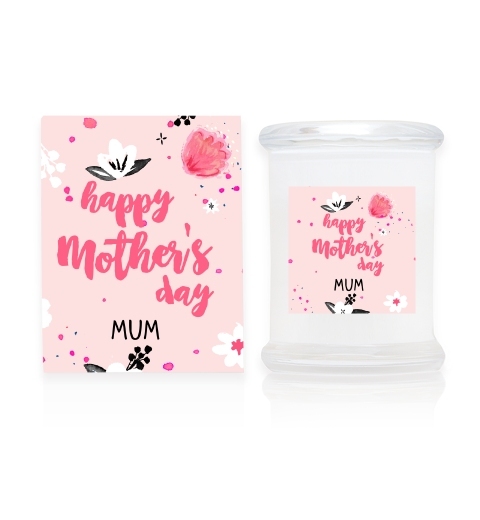 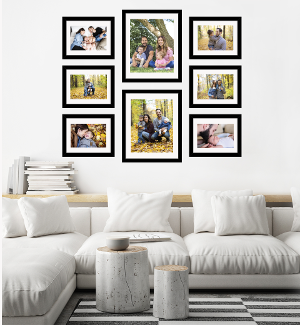 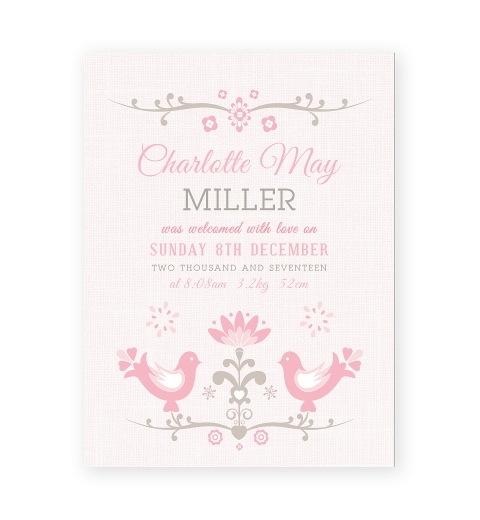 Personalise the print with baby's birth details to make it a beautiful keepsake print, or as a gift to the proud parents. 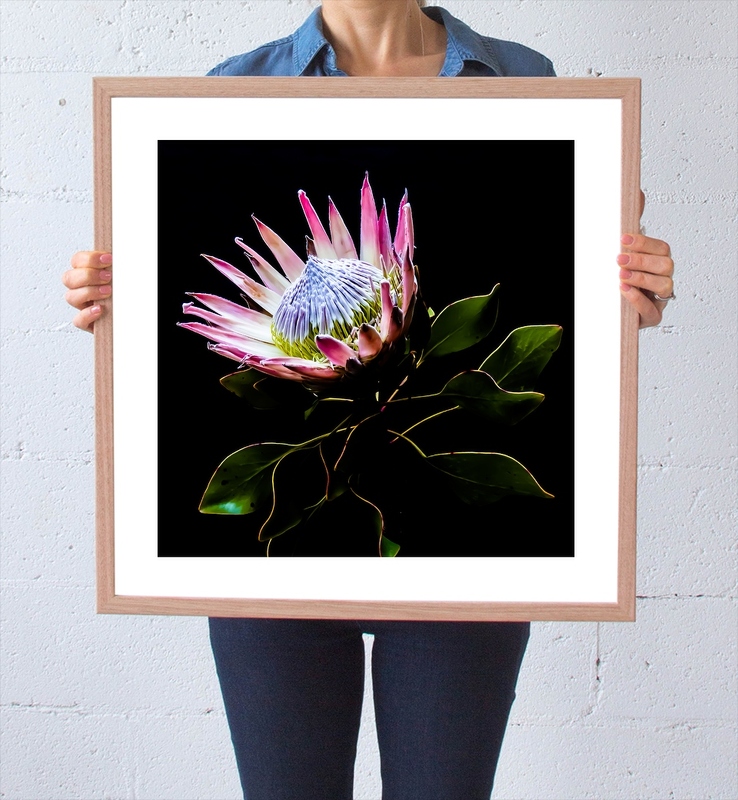 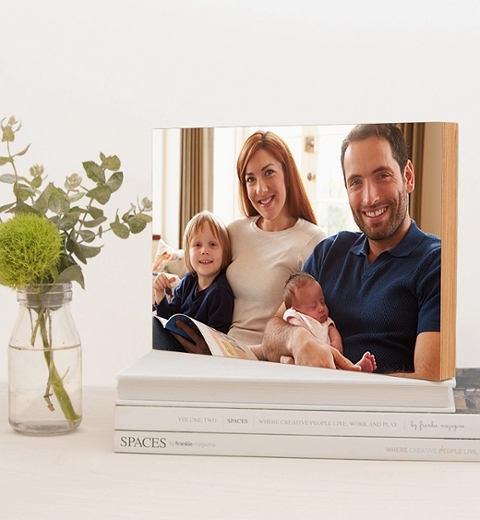 The print comes with a natural wooden frame that can either be hung or sit on a shelf.